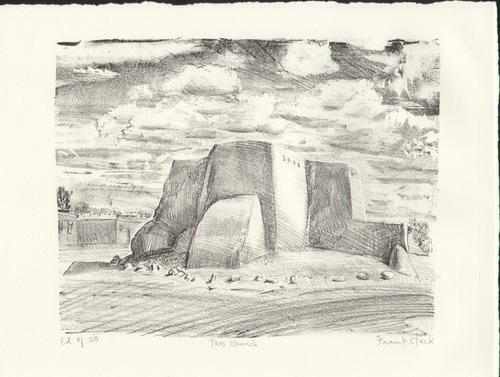 This original hand-pulled lithograph represents Ranchos de Taos Church in New Mexico. The print is pencil signed and comes from an edition of 20. Image size: 7.8\" x 9.8\" Sheet size: 19.5cm x 25.5cm.